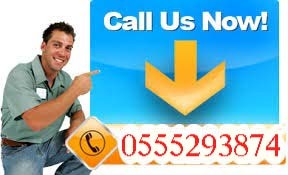 AC Repair in Dubai Are you in quest of some AC troubleshooting at your home or office? For your struggling fit, AC Repair in Dubai offers the best AC repairing, AC installation, AC gas charging and much more as per demand. Our company has authorized dealers of Window AC Repair in Dubai and also provides Split AC installation from repairing and installation to emergency Split AC repairing. To clear in your mind we offer planned and quick to respond AC troubleshooting and AC installation services. We also deal with customers who need our team for Window AC repairing services whose AC has been installed by any other company. It’s hard to live in hot weather while relying on buildings of controlled temperature. As a result, the need for best-certified air conditioning company services turns out to be must for everyone. It is essential to repair or swap the out of order air conditioner without any delay. Unluckily, you may have experienced lots of poor quality service providers for AC installation or repairing. If you have not found any suitable company in Dubai that fulfills your requirements, well, we can be your right choice. It does not matter whether you want AC gas charging, Window AC installation, split AC installation or repair services, you will get everything greatest. You can contact us without any hesitation, as we have massive experience in the industry so that you may have the best services. You can avail our top services at your home, office or any other building. We have a team of trained workers who have experience of years and always give their supreme at work. Each technician has enough knowledge and training. Also, they are capable to deal with all brands of Air conditioner. Keep in mind that you have to get a quote from highly regarded AC repairing company. 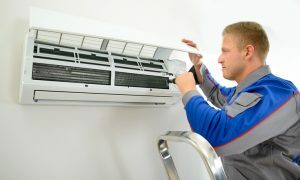 Every AC unit repair service is not the same, so you have to select the experienced technicians. When your AC unit is not very old, or it does not show any breakdowns, it does not mean that regular maintenance is not required. HVAC experts recommend that you must clean or service your unit once a year. Once the winter season is off in Dubai, you should service your AC unit. Keep your heating systems monitored after the summer season. While the functioning of the Air conditioning unit, waste and dust can quickly get into it which can affect the proper working of it.